Cuba is a lively country full of vibrant culture, rich history, stunning beaches, and unique cityscapes. A trip to Havana is like transporting back to another era; you’ll instantly be enchanted by this charming, colorful city. If you prefer sandy shores to steamy sidewalks, Cuba has you covered. There’s something for everyone, and with tourism only opening up in the past few years, this fascinating country is a coveted getaway destination. When traveling here, there are a few things you should know beforehand in order to make the most of your vacation. Keep reading to find out our ten Cuba travel tips! Traveling to Cuba requires a lot of planning when it comes to budgeting. US credit and debit cards cannot be used in Cuba, so it’s vital to plan out how much you think you’ll spend and bring that amount in cash (with some extra in case of emergencies). It’s also recommended to take euros, as you’ll be charged an extra 10% on top of the exchange rate when using USD. Travelers from all but 18 countries need some kind of visa to enter the country, and there are more specific guidelines for Americans traveling to Cuba. You must fall under one of twelve categories and apply through that classification. Look over the requirements before you book anything to ensure a successful trip. In order to enter Cuba, you must have proof of an outbound flight. This means you need to book your return flight prior to visiting Cuba. Don’t show up to the airport with a one-way ticket, or you run the risk of being kicked off your flight. Cuba is notorious for its lack of Wi-Fi and slow internet service. Free Wi-Fi is non-existent, but you can purchase ETECSA cards, which allow you to connect to a network—usually at hotels and main hotspots in major cities. US websites don’t work in Cuba, and roaming cell service is unavailable. 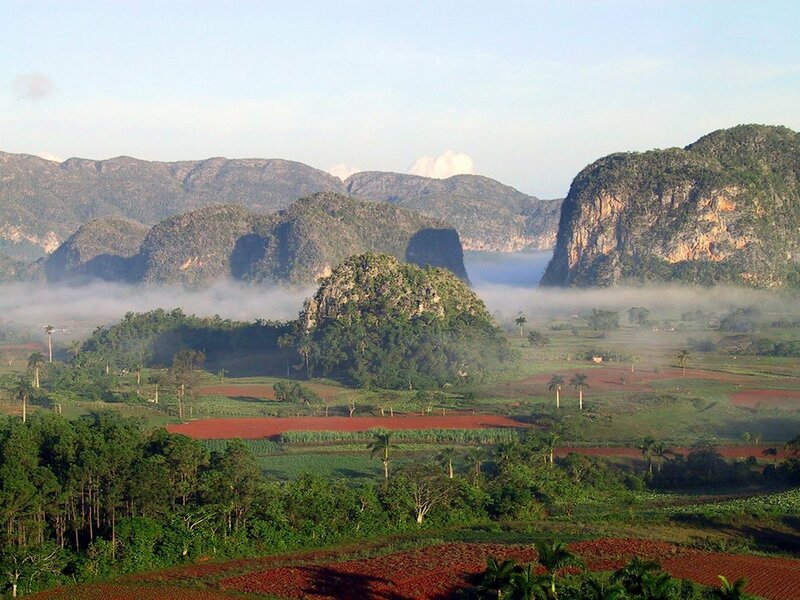 Take this as an opportunity to unplug and immerse yourself in Cuban culture. Since you won’t be able to use the internet or US websites once abroad, it’s crucial that you book everything before you arrive (from accommodations to tours). This is also necessary because traveling to Cuba is still seen as an exciting commodity, so flights and the top hotels in Cuba can fill up quickly. Before your journey, you can book with a Cuban hotel or browse Airbnb for a casa particular—a room or apartment rented out by locals for a daily fee. This is the most popular (and affordable) option for tourists. No Wi-Fi or cell service means you can’t rely on Google Maps to tell you where you need to go. Before you jet off, download the maps you’ll need through Google or a maps app that allows GPS to track your location even when you’re offline. There’s nothing worse than needing important documents while abroad and having no way to recover them. Once in Cuba, it’s not as simple as accessing them online, so make sure you have everything printed and packed before taking flight. Knowing how you’ll get around ahead of time will make all the difference and help you have a stress-free vacation. Not only will it give you peace of mind, but it’ll help you budget, too. Take into consideration how you plan to get from the airport to your accommodation. For everyday travel, taxis are a nice option, and buses are an easy, inexpensive way to travel between cities. Havana is a very walkable city that is safe and easy to explore by foot. Cuba is famous for its countless long lines. No matter where you go or what you’re looking for, you’re guaranteed to be waiting a while. There’s no point in getting frustrated, so learn to accept and even embrace it. Since it’s the norm, locals actually have their own system. When someone new arrives, they ask who’s last in line. Once the answer is shouted out, the new person will yell “el último,” signifying that they are now last in line. Everyone else is free to move about, as long as they remember who they’re behind. When visiting any foreign country, especially its big cities, it’s always important to stay on your toes—even if the area is relatively safe. While you don’t have to worry about physical violence in Cuba, be aware of popular tricks some locals use to get money. A common scam is recommending anything from a restaurant to a must-see attraction and then demanding money for the recommendation. Although some locals genuinely want to strike up a conversation, it’s wise to use your street smarts and not engage in situations where you feel unsure. Pro-tip: wearing a large watch will draw more notice to you, and people will grab your attention by first asking for the time.